A well desired unit which gives you the feeling of supreme luxury at the 5 star-rated Trump Tower International xD; xA;Waikiki. It faces Fort DeRussy side, and has the breathtaking view of ocean and sunset. This fully furnished 1 xD; xA;bedroom+den unit comes with topnotch appliances, granite counter top, travertine tile flooring, kitchenware, and xD; xA;lines as well as the amenities such as infinity pool, excellent concierge service, valet, gym, and a full service xD; xA;spa. You will enjoy your stay in Hawaii, in the best possible way you can get with this turn-key unit. BREATHTAKING OCEAN VIEWS! Relax on your large lanai while enjoying waikiki parades, fireworks & beautiful sunsets. Large 2 bed 2 ba in the much desired Foster Tower. 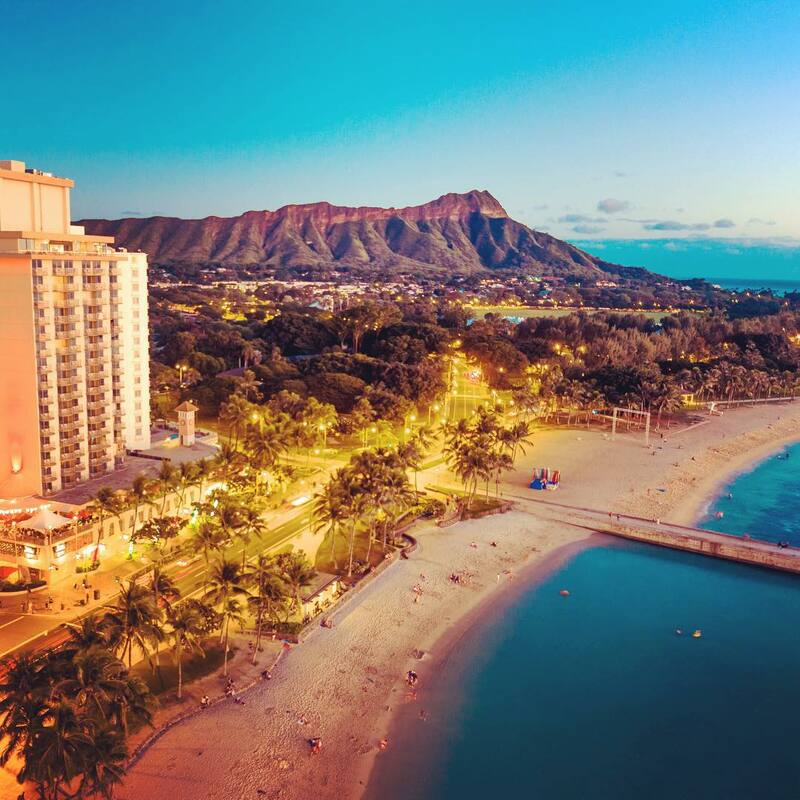 Steps away from Waikiki beach, dining, shopping, kapiolani park & diamond head. Building amenities include salt water pool, renovated gym & sauna, bike storage, 24 hr guard service, keyed entry & pet friendly. Maint fee's include all utilities and WI-FI! Short term rentals ok with 30 day minimum stay. Sold as is. Enjoy luxury living at 5 star Trump Tower Waikiki Hotel/Condo! This 1 bedroom with Den unit is an ADA room xD; xA;comes fully furnished with all linens and kitchenware, and has desirable ocean views. Top notch amenities include xD; xA;infinity pool, concierge, valet parking, and a full service spa. include in purchase are upscale appliances, granite xD; xA;counter tops, and travertine flooring. Must see! Premier corner, end unit remodeled by Timothy Gutierrez with larger interior square footage and extra window in kitchen and living room. Kitchen is designed by Downsview Kitchens with luxury Gaggenau appliances. The Watermark offers luxury resort life style x2013; open air lobby, pool, barbecue cabanas, exercise room, beautifully landscaped areas, and more. Very desirable location close to entrance of Waikiki and near Ala Moana Shopping center, marina, harbor, and beaches too! Furniture can be included and negotiated. Enjoy the Waikiki lifestyle, easy to show! Experience a LUXURY RESORT LIVING at the Ritz Carlton Residences in Waikiki. A rare opportunity to purchase a beautiful 1 bedroom / 1 bath GRAND LEVEL OCEAN VIEW SUITE with a stunning view of ocean and city lights. Enjoy Friday Night Fireworks from the specious lanai. The suite comes fully furnished with Washer/Dryer in the unit. Amenities include concierge, valet parking, infinity pool, 24-hour fitness center, spa, and notable restaurants including BLT Market, Sushi Sho and Dean & Deluca. Conveniently located near shopping center, park and beach! Most desired 06 ocean corner-end unit with sweeping ocean, marina, mountain & Diamond Head views. Highly upgraded and appointed design with Viking appliances, wine captain, granite, marble and high-end window treatments. Designer marble, wood style and carpet flooring. 2 parking stalls, extra storage and great amenities!